Stocking Guidelines: How Many Fish Can I Keep? Choosing how many fish for your aquarium includes many important factors. Not only do you have to keep in mind various factors related to fish, but you also have to consider the features of your fish tank. The stocking guidelines for your aquarium include many more things than just the number of fish you can put inside it and their particular type. You may have an undeniable love for your aquarium but you are no expert. Hence, it is recommended to take advice from experts and read up on various forums before stocking your aquarium. Let’s have a closer look at some of the basic stocking guidelines for your fish tank. To determine how many fish you ought to have in your tank is to use the measurement of gallon. The general rule is to add 1 inch of fish per gallon into the tank. However, this rule is based on the fact that the fish are slender. If the fish are thick, then you might need 1 inch of fish per 2 gallons of water. This rule is also affected by the filtration in the tank. You should remember that a greater number of fish will pollute your tank more. They will produce more ammonia. You will need more nitrifying bacteria to get rid of the high levels of this toxin. In addition, more fish will consume more space. It will create a messy environment for the fish. When you have greater number of fish in the tank, you have to do frequent water changes. It reduces the levels of harmful elements for the fish. Stocking guidelines also indicate the type of fish that can survive in one environment. Some people confuse aggressive fish with predatory fish. However, they are not the same. Aggressive fish generally fight over food or at the time of mating. Predatory fish eats live fish but that does not mean it is aggressive. When you stock aggressive fish ensure that the ecosystem of your tank does not have a harsh environment. Semi-aggressive fish only get aggressive if the conditions in which they are living are not favourable to them. If they have to survive in a harsh environment, they can get very aggressive. It can also happen due to the lack of food. Common examples of semi-aggressive fish are angelfish, gouramis, plecos and rainbow shark. Community fish are non-aggressive fish that can survive peacefully with other fish. Common examples include guppy, platy, molly, dwarf gourami and tetra. You should select aggressive fish if you intend to keep a single fish in your tank. Go for the Oscar. It is an aggressive species that requires a lot of space. If you are opting for schools of fish, then choose the non-aggressive Krib. They survive well with the rest of the fish. To keep a healthy ecosystem up and running for your aquarium you need all the help you can get! 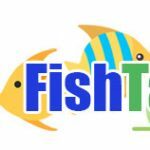 FishTanksAndMore.Com can provide you more stocking guidelines like the ones mentioned above to make sure your fish thrive in a healthy and comfortable environment. Stay in touch with the experts for more information about the fish you choose. If you have any questions about stocking your tank, do let us know in the comments! This entry was posted in General, Tips and Information. Bookmark the permalink.